Preparing for the transitions ahead is crucial. 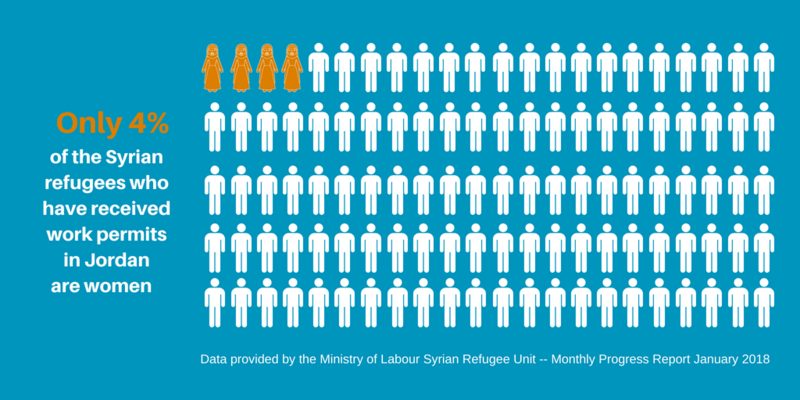 Many sectors and roles remain off-limits, but since the signing of the Compact in 2016, Syrian refugees in Jordan have had access to formal employment in fields such as manufacturing, agriculture and hospitality. To engage refugees, a small set of civil society organizations stepped in, including Education for Employment - Jordan, an EFE Network Affiliate with a decade of experience training unemployed Jordanian youth and placing them into jobs. 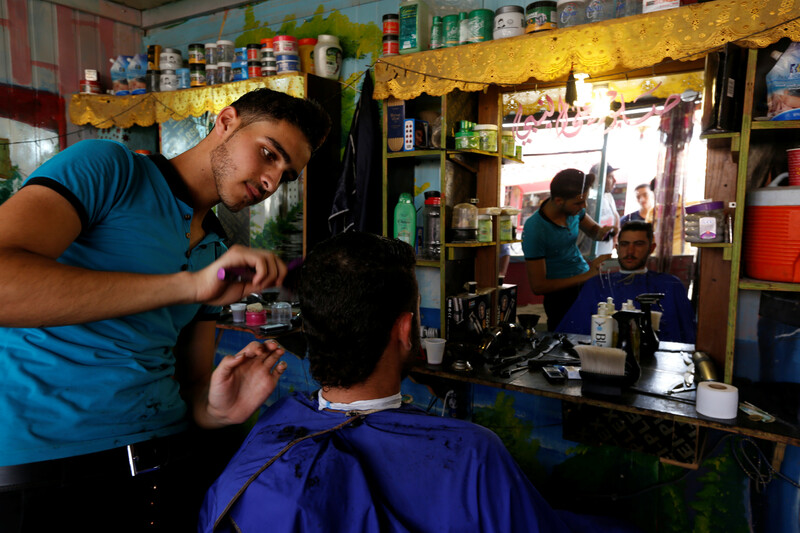 A Syrian barber at work in the Zaatari refugee camp, Jordan. Likewise, perceived cultural characteristics can be leveraged for positive employment or business outcomes. For example, EFE-Jordan's experience with training and placing refugees in food services roles has shown that some employers believe the Syrian passion for cooking gives them a strong base for acquiring more complex, high-value culinary skills. 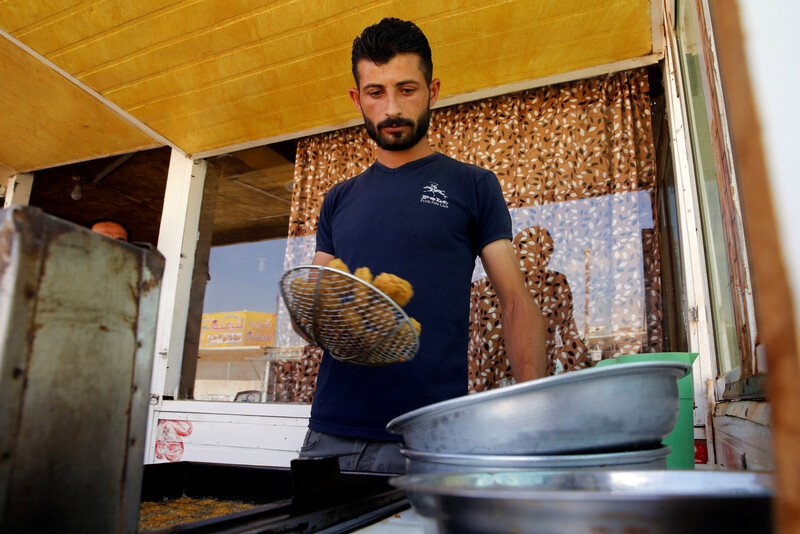 A Syrian refugee works at his restaurant in the Zaatari camp. Today, Zain, the EFE-Jordan trainee who fled Syria in 2011, has been hired as the chef's assistant at Zaatar w Zait, a popular Jordanian restaurant chain. Noting Zain’s professionalism and persistence, the HR manager there assigned her a team of three, and she thrived.